As environmentally conscious people, we are all well aware that when the population swells – the animals suffer. People need a lot of space, and in Sri Lanka this means there is less space for the elephants that are now sadly in the threat of extinction. It is a two way population crisis, that of the elephants and that of the people. In Sri Lanka however it is very much the elephants who are suffering. The Environment Conservation Trust describes the decline as occurring at an ‘alarming pace’ with around 4,500 remaining currently. This crisis has led to increased instances of Human Elephant Conflict (HEC) and since 2010 there have been around 250 elephant deaths and 80 human deaths as a result. The present human population is projected to rise by 3 billion in the next 30 years. Populations of Asian elephants have declined by around two thirds since the turn of the 20th century. So what is the fix? Many experts blame poorly planned development projects; as natural habitat is destructed, incidents of HEC increase. It is an endemic crisis of humanity that natural spaces are being gobbled up for commercial gain and we are losing many species because of it. It is not just the number of humans that cause the problem, but also their increasing needs. Development brings with it many positive things such as a higher standard of living, decreased mortality, and better access to resources, but all those things need infrastructure that must be properly planned to suit the context and environment. Humans and animals clashing has become one of the central problems of conservationists the world over. It is a tricky situation as we are invading their space, but due to our own population crisis this is necessary. Our numbers are increasing whilst theirs decline – throwing the delicate balance of mother nature out of whack. The elephant is no easy animal to accommodate either. It has large habitat areas and migration paths, it also is large in size meaning that it needs adequate water and sustenance to thrive. In fact, one single elephant needs to consume up to 300kg of food stuff per day, and 200 litres of water. As habitat is destroyed, these magnificent creatures find themselves searching for new food sources, which now more often than not leads them to human agricultural lands which you can imagine is slightly more than problematic, and slightly harder to deal with than your usual farm pests. They cause expensive amounts of damage to crops and to property alike, and unfortunately this cost is usually to the poorer rural communities in Sri Lanka. Some experts even suggest that HEC occurs across half of the countries landscape – astonishing. It is impossible to contain elephants too. At first, in Sri Lanka, it was thought that keeping them in the Department of Wildlife Protected areas was best, but this soon proved impractical. Now they are thinking about trying to contain them there and in forest areas which are yet to be protected – thus providing another problem. Worldwide only 20 per cent of elephants natural habitat is protected, and so you can see why the problem presents itself. Realistically this cannot be solved by government departments and conservationists alone. Proper planning will play a huge part, but so too will local people speaking up on the issues that affect them and campaigning for change to ensure elephants and people are protected. As with all major issues, collaboration is key, and that is something we strongly believe in here at Island Spirit. Ensuring local communities have a voice in the matter is critical to it being overcome. The move to large agribusiness for the sale of cash crops is also a driving force behind the problem. These expansive areas eat into elephant habitat, and are also a beacon drawing the elephants in as well as the local rural farms. Urbanisation in general with roads carving up the natural landscape is a challenge too. This is a problem witnessed right around the globe, even in the UK where several native species have been brought to the brink of extinction. One would think that lessons have been learned and governments know how to develop better to protect people and the planet as well as profit but this is not what we are seeing in Sri Lanka to the detriment of the elephant. As well as the challenge of habitat loss, elephants get electrocuted by fences and wires, run down by trains, and still, sadly, purposefully killed for their tusks or as pay back for the damage caused to local farms. It truly is a sad state of affairs for both man and beast. 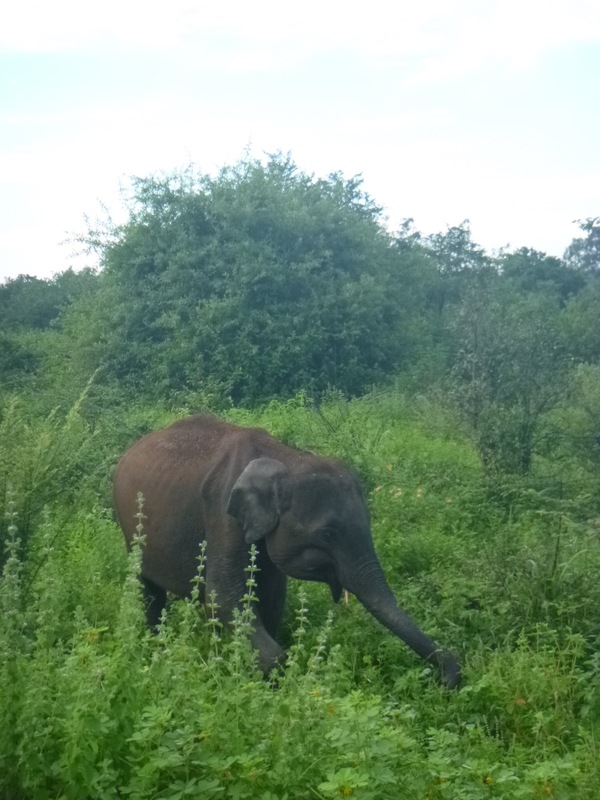 Elephants are also losing their habitats so Sri Lankans have somewhere to dump their waste – refuse sites are eating up the natural homes of the elephants who still roam back there and end up digesting our trash putting toxins into their body or chocking them. So what can we do? We can encourage sustainable and responsible development, and proper planning. We can also ensure that we do not buy into businesses such as hotels or tourist attractions that have actively taken part in the destruction of habitat without the proper care or planning. Encouraging recycling, reusing, and reducing too can have nothing but a positive effect for both humans and the elephants. 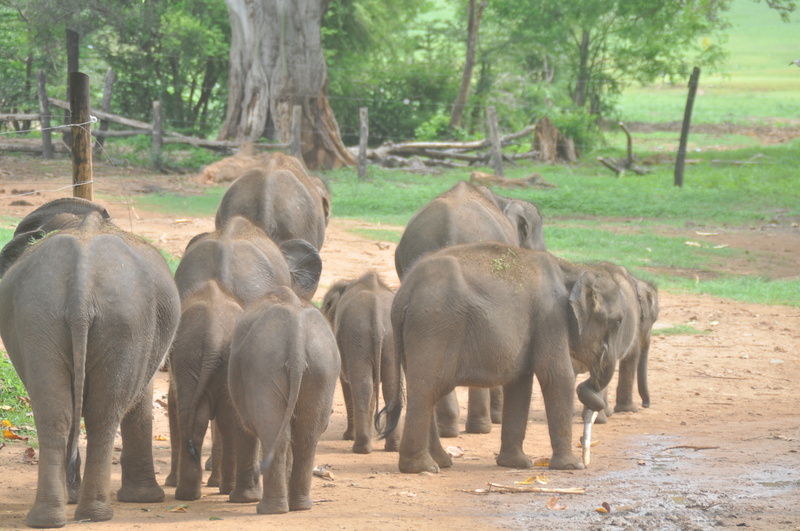 Witness the endangered elephants roaming free in Sri Lanka for yourself, before it’s too late. See our latest eco-adventure trips to Sri Lanka here.